"Dr. Kee is amazing. takes her time, listens to everything you say and never ever pushes. She is super sweet!" "Dr. Kee is great, always takes her time to answer questions and is very good w/my child!!" "We love her! Grace has seen her since birth, she is now 7 1/2 years old." "We have all of the confidence in the world of Dr. Kee. LOVE HER. Professional, explains things in great detail. " "dr kee is not only a one of kind physistion, she cares deeply for her patients and their families. we can not express in words how grateful we are to have dr kee as our infants dr. she always goes above and beyond!" 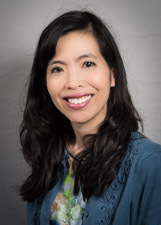 "Dr. Kee is friendly & professional - we arrange our visit to specifically see her!!" "Dr. Kee is, by far, the most caring, thorough and patient pediatrician I have ever had the opportunity to work with for the health care needs of my three children. " "Dr. Kee is EXCELLENT! " "Dr. Kee is the BEST!" "We have recommended Dr. Kee to our family and friends." "I'm very happy you have Dr. Mitsu Kee, I'm still visiting your practice because of her. She's an excellent dr."
"Dr. Kee is by far the most competent, personable, and downright outstanding physician we have ever met. There truly are not enough words to describe how special and amazing she is. My wife and I thank God every day for Dr. Kee!!" "Dr. Kee is very approachable, always take time to explain anything." "Dr. Kee is an amazing physician. She was very thorough and showed concern regarding my illness"
"Dr. Kee is very respectful and kind. We are grateful for her patience." "Dr. Kee is one of the best physicians. I was very happy to get an appointment with her on that day. I and my wife usually ask for her or Dr. Serotoff by name." "Dr. Kee is a very caring doctor and very thorough and easy to talk to." "Dr. Kee is wonderful. She takes her time and is very kind/thorough. She talks to the kids and involves them in the visit." "No medication. we go to the Mt. Sinai Office, but Dr. Kee was really great & very helpful!" "Dr. Kee is the best! Friendly, caring and very thorough. Never rushes you through your questions and concerns." "We love Dr. Kee. She knows my children well, they are very comfortable with her. She is the best! " "Very respectful of their patients. " "Dr. Kee is the only reason why I remain at the practice. She is an amazing clinician and caring doctor." "We always have a good experience in this facility." "Dr. Kee is an excellent doctor and love seeing her for all my kids health care needs." "Very cooperative & _____ friendly." "Dr. Kee was very thorough and knowledgeable." "We are very impressed with this physician and how she connects with our children. She spends ample time assessing them, and reviewing instructions, developmental milestones & what to expect." "Dr. Kee is always kind, helpful & wonderful about talking with me & both my daughters."